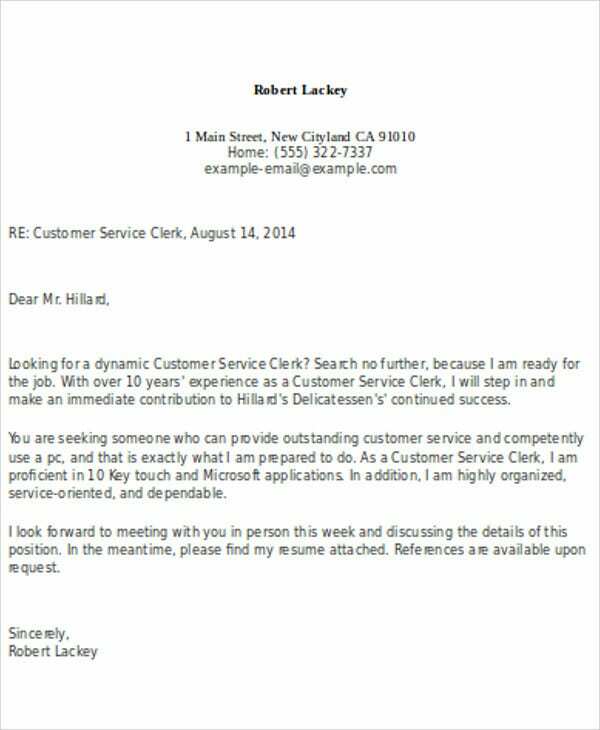 Practically anyone who has ever gone hunting for a job has had to write a cover letter to their prospective employer. 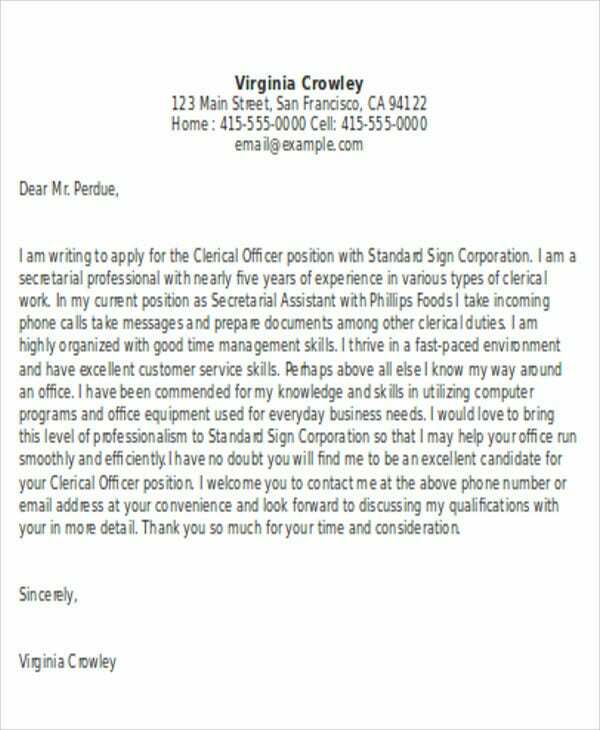 Nowadays, any job hunter looking for clerical jobs can make use of a clerical cover letter template to make the job easier. 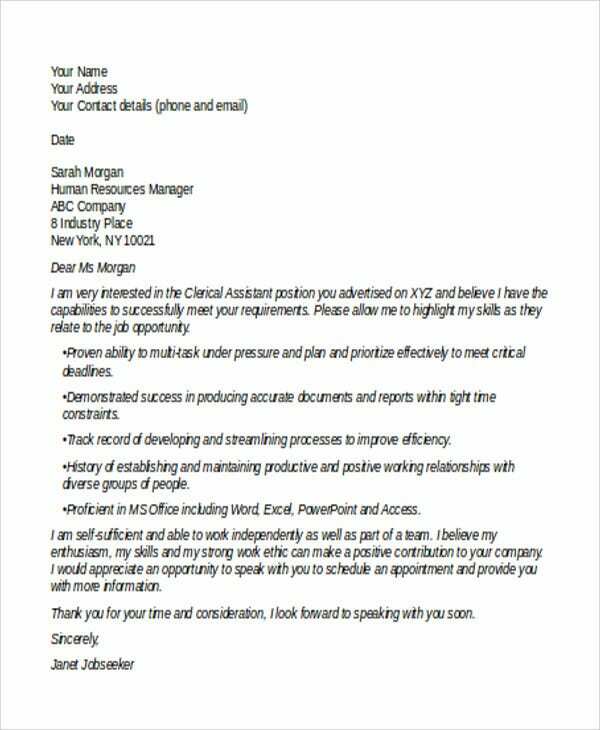 This is something universal, as anyone would be in need of these letters to introduce themselves to potential employers. 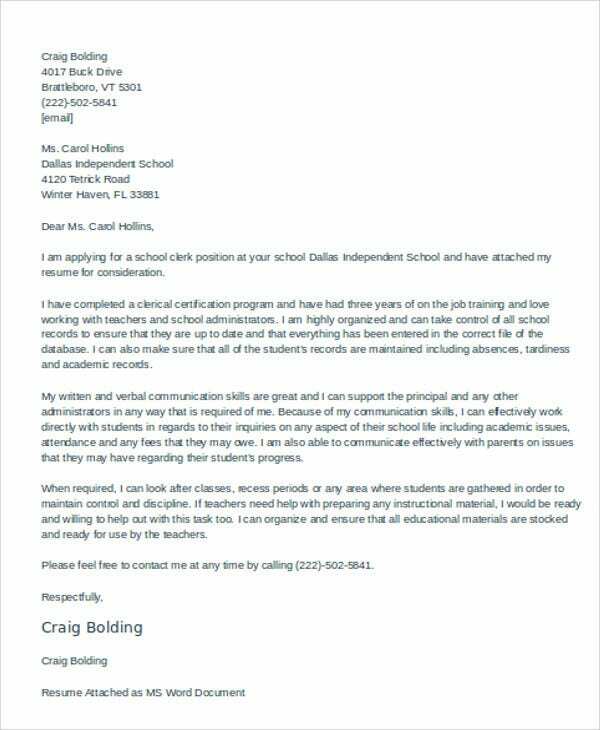 Some templates, like a resume cover letter, can provide a basic pattern for you to drop mention of your resume. This way, you can also foreshadow the resume by briefly giving employers an idea of your qualifications for the job. 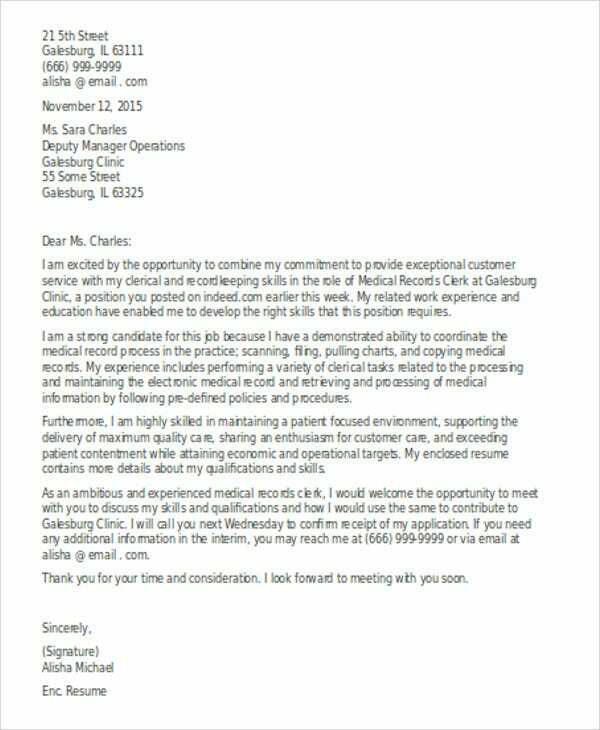 Writing a cover letter can be a tedious job, but there are tools like Free Cover Letter Template and Word Cover Letters that can make the job easier. In the case of a clerical job, you would have to include certain things so as to make yourself sound appealing. Include your computer and administrative skills to prove that you can handle the technical aspects of the job. You should also mention interpersonal skills, as a clerk may also have to manage the client base. 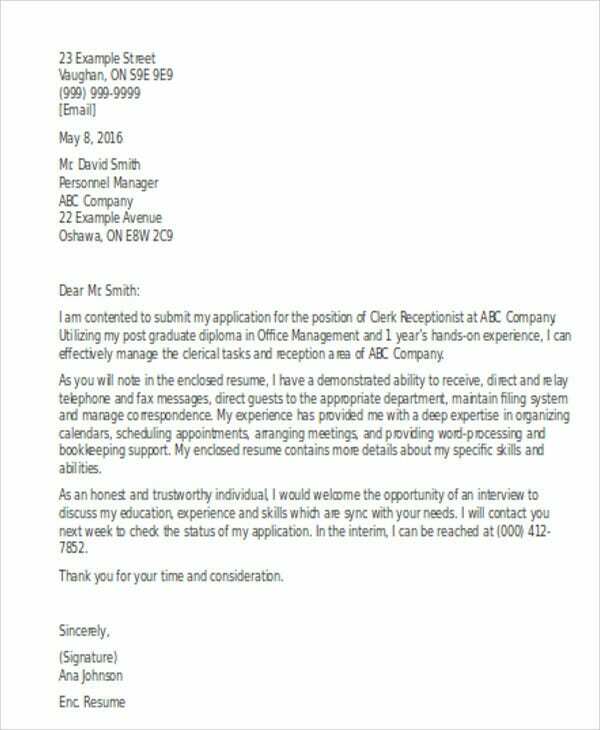 Your cover letter templates, like Employment Cover Letter Templates and Professional Cover Letter Templates should definitely make mention of whatever concrete skills you offer an employer. But there are some subtle things you bring to the table that should also be indicated. 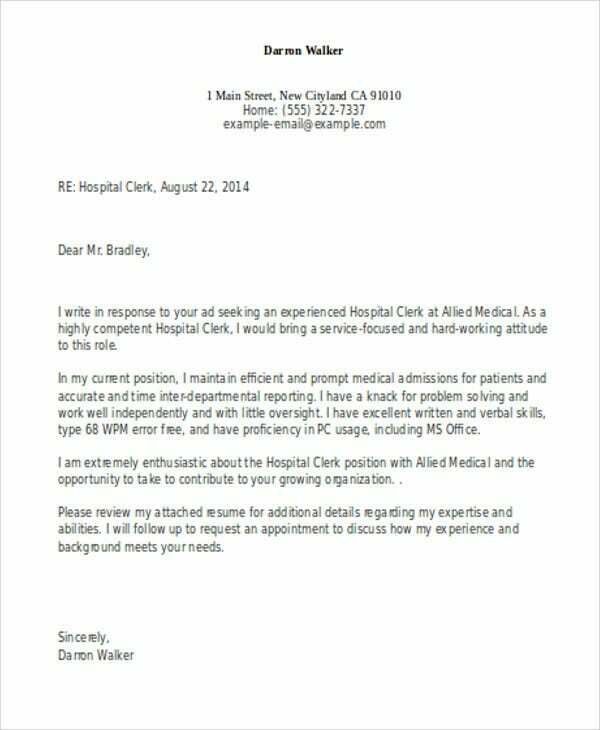 Your cover letter should indicate that you can work well under pressure. The job will place many demands on you, so you should indicate that you can keep a cool head under all the stress. 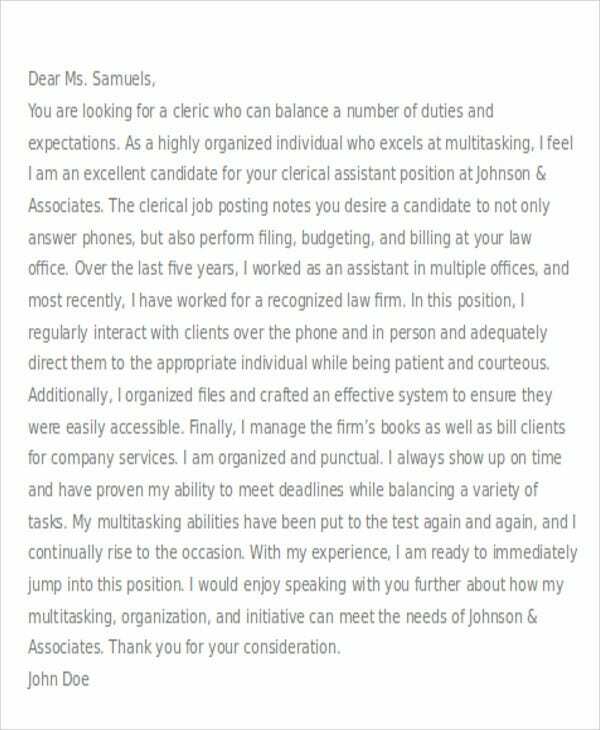 A clerical position carries many responsibilities, so you should mention an ability to juggle multiple responsibilities at a time. Part of the job is being able to handle all this responsibility so as to keep the work streamlined, so including this information is a must. While you may already know what things you may need to put in your cover, there are still some tips that could be useful for making your Simple Cover Letter Templates more effective for your purposes. Keep your letter short. There are other job hunters competing for a job, so hiring managers would not want to spend too much time on any one cover letter, especially for clerks, as there could be many applicants. Do not be redundant. 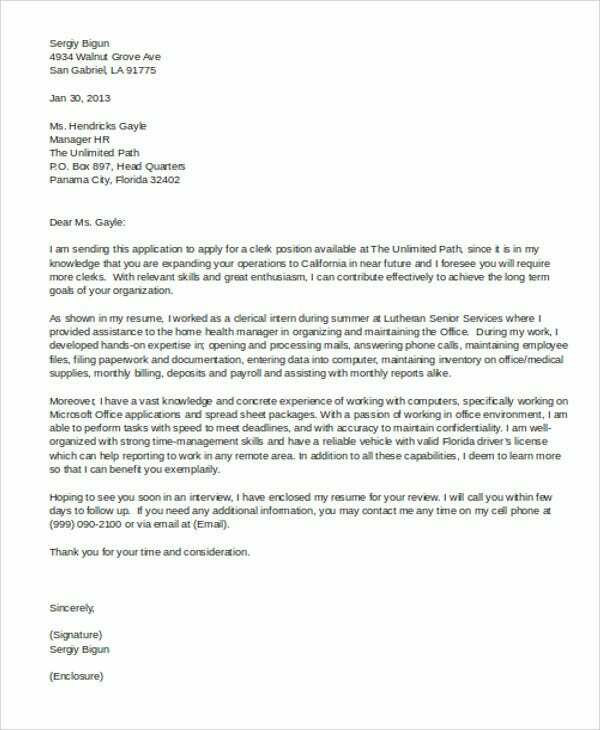 Your cover letter should only contain a brief summary of any of your skills, as the specifics will be in your resume. Just briefly touch on useful skills like computer and administrative skills. Mention any practical experience you have, as that always counts when seeking a job. This is doubly so for a clerical position, as hiring managers would be impressed by someone who already has experience with administration of documents and clients. 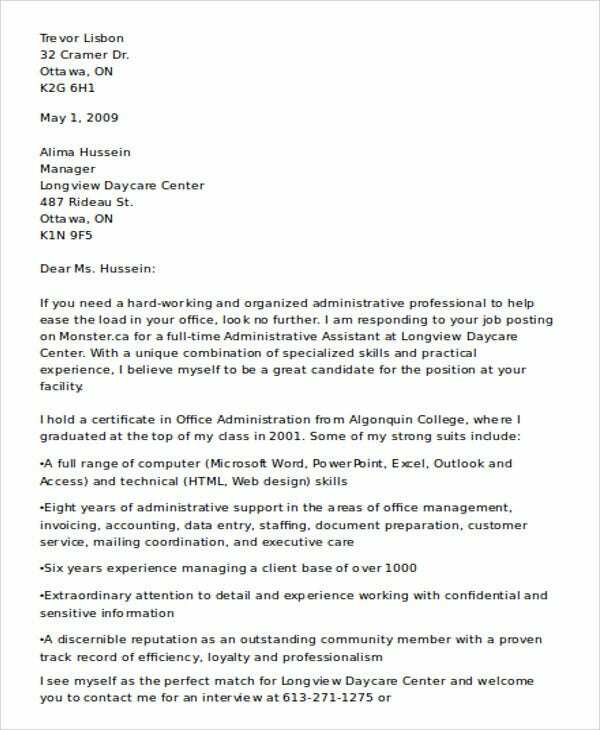 Alternatively, you may also use Email Cover Letter Templates to send your cover letter via email. This can be a very useful move on its own, thanks to the increased presence of the internet in all levels of business.